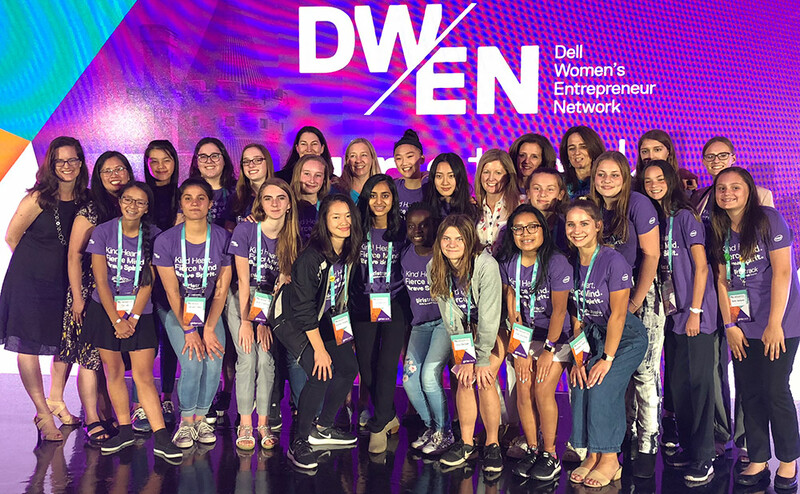 This week, we hosted our 9th annual Dell Women’s Entrepreneur Network Summit (DWEN) in Toronto, Canada, bringing together more than 100 women entrepreneurs from 16 countries and 25 industries, the investment community and the next generation of innovators and trailblazers through our Girls Track! Despite the incredible diversity of region and industry represented, one theme remained consistent: these women’s businesses are changing the world. Their companies are pioneering cancer treatment, democratizing 3D printing and launching emergency communications capabilities for use in times of crisis. These examples, along with many more, show the unique power of women entrepreneurs to drive business through purpose – and with a combined revenue of over $4 billion the room, it’s clear that making a positive impact on our local and global communities pays! So why did we bring this powerhouse of a network to Toronto this year? It’s pretty simple. Canada’s vocal and energetic advocacy for gender equality embodies the vision of women entrepreneurs globally. And with the recent focus Prime Minister Trudeau and the government have placed on women entrepreneurs with its four-pillar Women’s Entrepreneurship Strategy, Canada’s record of having women open businesses at higher rates than any other nation seems set to continue. As part of its Women’s Entrepreneurship Strategy, the Canadian government announced just last week that it is now accepting proposals from companies to collect data on how best to support women entrepreneurs. We couldn’t agree more with this collaborative, data-driven approach to accelerate business opportunities for women-founded entities. Data has always been critical in helping us achieve DWEN’s purpose – to enable fast-growing women entrepreneurs by addressing the unique challenges they face including access to capital, technology, networks and expertise to overcome cultural and political barriers. That’s why this year, as an extension of our annual Women Entrepreneur Cities Index (WE Cities) research, we launched new diagnostic tools to ensure policymakers are enabling women entrepreneurs to succeed, specifically around access to capital and leveraging technology to scale. We also developed city-specific blueprints for 10 global cities outlining recommendations for city leaders to improve the local ecosystem for women entrepreneurs. With this shift in research approach, we’re turning analysis into action. 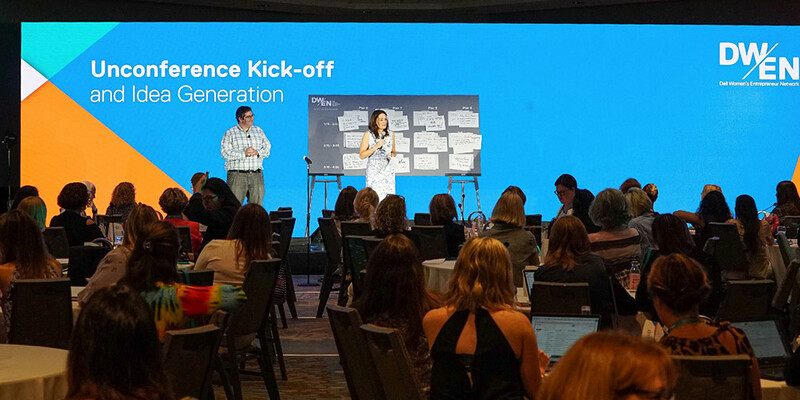 We’re taking these tools to policymakers hand-in-hand with our DWEN sisters, as well as on the road through our Dell PolicyHack™ and Women Funding Women events, which convene entrepreneurs, local governments and investors to ignite conversations on how to better enable women entrepreneurs. In fact, our first official stop was the day after DWEN concluded! In Boston, Mass., Howard Elias, President, Dell Services, Digital and IT, joined mayor Marty Walsh for a discussion moderated by the Boston Globe covering recommendations specific to the WE Cities Blueprint for Boston. 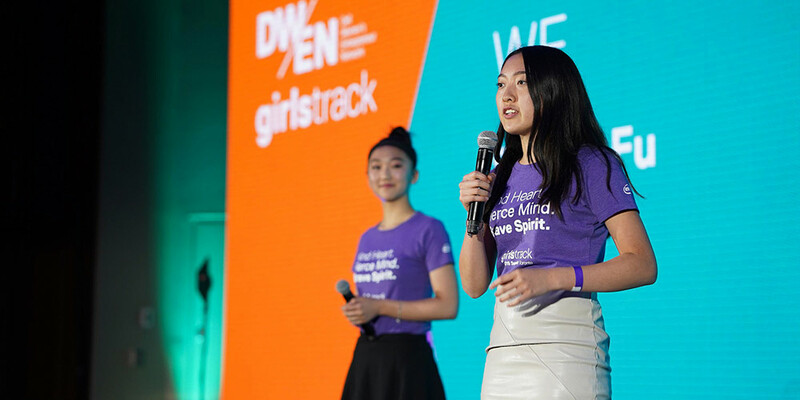 While our work won’t be done until the playing field is leveled for female and male entrepreneurs, my time at DWEN once again left me feeling incredibly optimistic about the future of business, our communities and our broader society; not least because of how inspiring the next generation of women is, as evidenced by the participants of our Girls Track. We started Girls Track in 2014 to empower girls to confidently transform their ideas and dreams into businesses and realities, and each year I am blown away by the talent, creativity and confidence this group radiates. Couple this with the amazing momentum we’re seeing for women across the world – from the advent of gender-balanced cabinets in government, to 98 percent of the Fortune 500 having women on their boards (an all-time high! ), to many countries graduating women from colleges and universities at higher rates than men – and I can honestly say I’ve never felt more positive about the world my daughters are growing up in. Here’s to all the women out there building a legacy that will change the world!